How to Install Mac OS X El Capitan On PC? In this article, I am going to show you how to install Mac OS X El Capitan On PC. 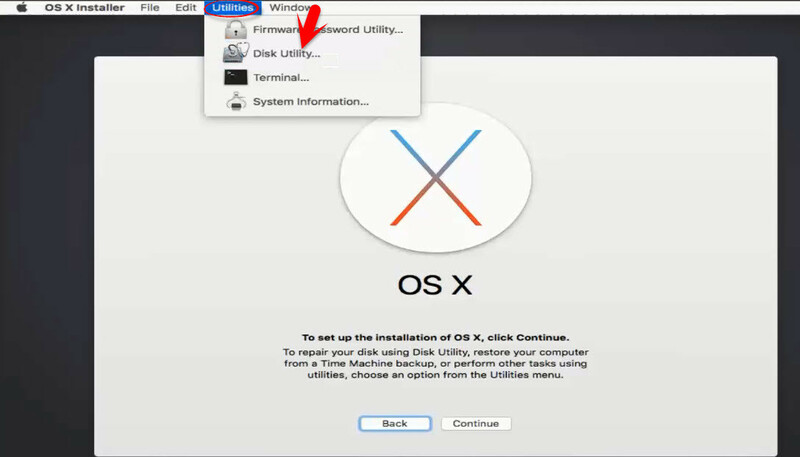 Or check how to install Mac OS X El Capitan on PC using UniBeast. In our previous articles, we shown about mac, How to Install Mac OS X El Capitan on VirtualBox, How to Install Windows 10 on Mac with VirtualBox, How to Upgrade Mac OS Yosemite to El Capitan, How to Dual Boot Mac OS X El Capitan with Windows 10.Check below for our previous related article links. So now if you have visited the link and read the articles then you know how to do them and they are easy if you follow they same steps. So now we’re going to learn a little about how to install Mac OS X El Capitan on PC. This is an article that you can find a lot on Google and internet but most of them are not working with our systems and there is no support for them, but in this article, I am going to show you how to install Mac OS X El 10.11 on PC with some more instructions and guide. How to Install Mac OS X El Capitan on PC Using Unibeast? 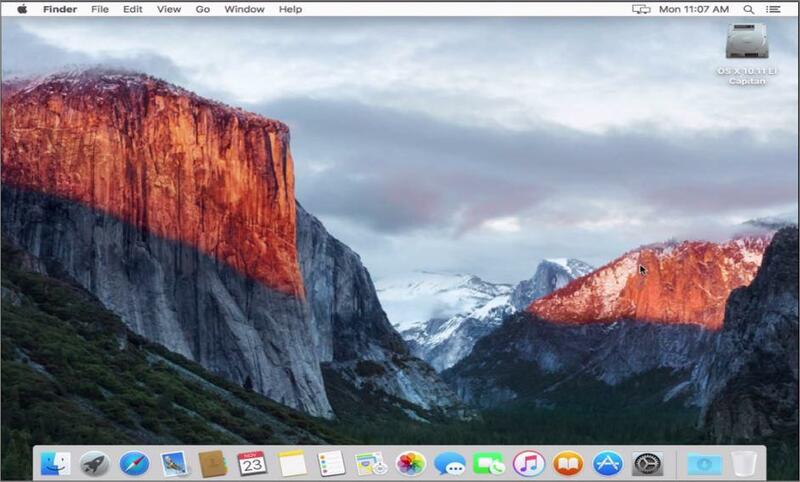 How to Upgrade Mac OS Yosemite to El Capitan? 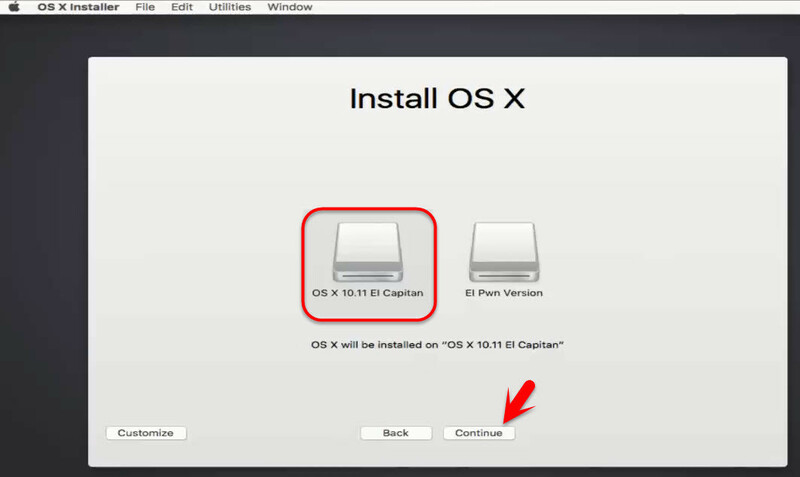 How to Install Mac OS X El Capitan on VirutalBox? How to Dual Boot Mac OS X El Capitan with Windows 10? How to Install Windows 10 on Mac Using Boot Camp Assistant? How to Install Windows 10 on Mac OS without Boot Camp? The first step you should take is formatting your hard drive before you install El Capitan on Mac. and create OS X 10.11 El Capitan bootable USB Installer on PC or create bootable USB for mac on Windows, before skipping this step. If you prefer doing install OS X El Captain on PC then you must do step 1 carefully because it’s the main step that you begin to process. Click on the Heading Link, go and follow step by step to create bootable USB installer for Mac on Windows. Now plug your bootable USB Installer into your PC that want to install Mac OS X El Capitan on it, then press the boot Menu Button from your keyboard(F12, F10, F8, F2) depending on your System, if can find then do a google search, after that enter Boot Manger then select the bootable USB Boot Installer and hit enter. Now Select “hd (0.2) (10.11) El Pwn Version” And Hit enter to go forward. If doesn’t boot directly then use some boot flag’s in order to boot (Boot Flag’s are under the shot). For nVidia Graphics ( GTX 600 series – Titan Series ) nv_disable=1. After boot install Nvidia Cuda drivers for mac manully. If the list above doesn’t work comment us below or do a google search for your problem. Now after Booting successfully with the boot flag. 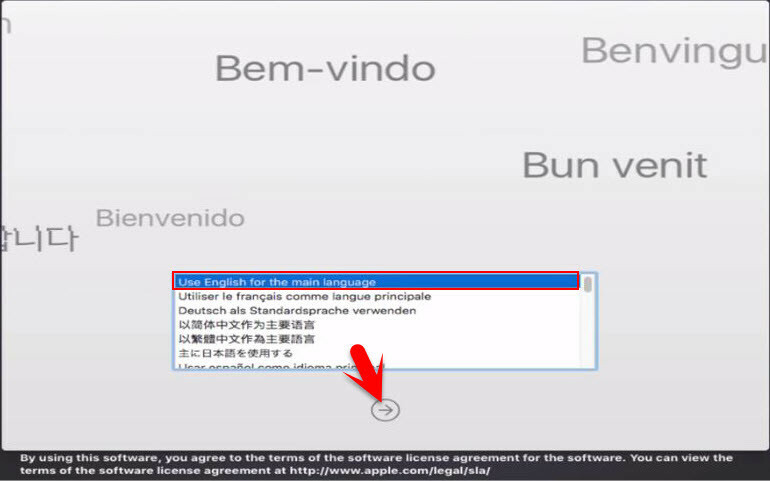 So USB installer should take you to choose Language page, then Select your Language for El Capitan and click on the Arrow button to go forward. Here you will need to partition a Disk for El Capitan. So Now Click on Utilities > Disk Utility. Now select a free empty partition or create a new partition and go to Erase section. Type your Disk Name for El Capitan, then select the format type to “OS X Extended (Journaled)” and click on Erase button. So after Creating an “OS X Extended (Journaled)” Partition for Mac OS X El Capitan, then close disk utility then click on Continue > Agree (Terms of the Software License agreement). Choose the Partition that you created in Step #5 and click on Continue. 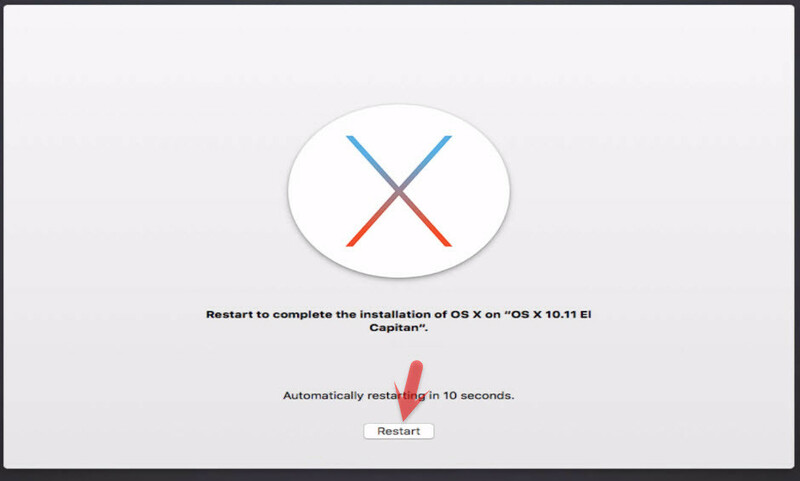 After you click on continue then the USB Installer will install OS X El Capitan on the disk partition that you created in step #5 and it will automatically restart after 10 Seconds or you can do it manually. So after your PC automatically restarted. Then go to Boot Manger and boot from Bootable USB Installer then Unplug or Remove the Bootable USB Install from your PC. After doing these then Select the OS X Extended (Journaled) partition that you created in Step #5 and hit enter. Now follow the article below to Perform a clean installation of El Capitan or Set Up Mac OS X El Capitan on PC. After performing a clean installation and Set upping your Mac OS X El Capitan on PC then you should see your final result. Also Read: How to Install Mac OS X El Capitan on VirtualBox? This was all about, how to install Mac OS X El Capitan on PC. If you faced any problem tell us below by comment, feel free to tell us. we’re waiting for your suggestion. I have tried all the steps and many others things from the internet, but getting this message again and again that, ‘mac os is already installed on this mac’. Tried to format the hard drive through disk utility also changed the time, but nothing working at all, please please please help me. Exactly how much time does it take for the progress bar to be full under the apple logo at the start?? Hi I am using a sony viao with i3 and 2gb ram, while booting , i get the first screen with the apple logo and progress bar and the progress bar gets stuck at 100% and nothing happens after that. What can i do ? For mouse and keyboard use an external one and also if you don’t have external mouse & keyboard use Kext instead. Tell me Boot flag for me, thanks before ! I didn’t find specific boot flag for this system but you can check this guide if it would help you. Panic (cpu0 caller 0xffffffb000326346): “zone_init: kmem_suballoc failed”@/library/caches/com.apple.xbs/sources/xnu.xnu…..
Sir i was unable to boot mac os x el captain by the help of chemelion bootloader due to some problems. I had the mac os x sierra copy which i downloaded from the link provided on wikigain. I used the clover bootloader of mac os sierra bootabel usb. To boot mac os x el captain from another bootable usb that has mac is x el captain as the chemelion bootloader was not working. I boot into clover and provided boot arguments at. -V -x along with other boot arguments that were already assigned in cloverboot argument. U was successfully able to get the apple icon after some random codes.BUT when the bar below apple ucon was extending. ,the apple ucin suddenly changed into. STOP icon and i was unable to do anything. PLEASE HELP ME AS I AM TRYING IT FOR MORE THAN 2 MONTHS…. my dextop computer has 2 gb of RAM and intel j2900 processor. when i tried to install mac os x sierra on my pc .it says that the version of mac os not supported on this plateform. so i searched in clover and i came to know that clover has identified my pc as MAC PRO 3,1. Then i searched the web and found that sierra is not supported on mac pro 3,1. BUT IT SUPPORTS MAC OS X EL CAPTAIN. CAN I USE THE ABOVE METHOD TO INSTALL MAC OS X EL CAPTAIN ON MY PC. MY PC IS ACTUALLY HP 110 401IL . This is our guide just try once. It worth trying and make sure to backup everything you need. I don’t understand Step #7. Step #6 was installing it on the computer… Are you saying that after we install OS X in Step #6, we have to install it again? I just skipped Step #7 and it booted from the SSD just fine. So how do I get wi-fi and bluetooth and the keyboard and trackpad working? I’m assuming I need t get the correct drivers and install them? What’s your full system specification? Sorry, but now I can’t guide to for the graphics issue, but soon I will create an article for that. Hey dear, I have tried on such laptop so that you can give a try. ohk somehow i give up for instaling the os x then how can i recover my window 10 back. Yeah, It seems compatible. What happens now did you succeed to install macOS. Use a Windows Bootable USB or CD/DVD to reinstall Windows again. What the error you faced? Use your system boot flags to boot into macOS. I tried all the amd boot flags, then combination flag, then nv_disable=1 flag. But still showing error while starting. Please help. Did you enable AHCI mode from your system BIOS and disabled secure boot? Hi, first of all, thanks for all helps. My situation is, i am stuck somewhere beetween from step 3 to step 4. I have created bootable flash and boot the laptop fom it. I saw the option of boot. I have selected hd 0.2, then came the grey apple logo on white background. The darker grey bar started filling up slowly slowly… then it has stoped… Near the half way…. it is end of my story. I have a hp laptop. You know… hp laptops very stupid devices. Especialy their bioses. Too limited option in there. For example cant adjust ahci or sometihng like this. Anyway. I’ve done my homework and try to do some research about my stiuation (i am forgeting how write this word, sory for that) as much as possible i’ve tried to set the some settings that neccessary. I have two display adapter on my loptop, one of intel hd4400 thing and the other is nvidia, as you may understand from my intel screen adapter i have i7 4th gen cpu. By these all information, can you help me? thanks in advance. As i told you before i have intel hd4400 disaster thing. Hey dear, If HD300o worked then why you don’t go ahead If the mouse and keyboard don’t work then use external mouse and keyboard. let me know what’s your system specification? Hey dear, In this cause you can use an External Mouse and Keyboard to complete the Installation process after that you need to install the drivers for keyboard and mouse. 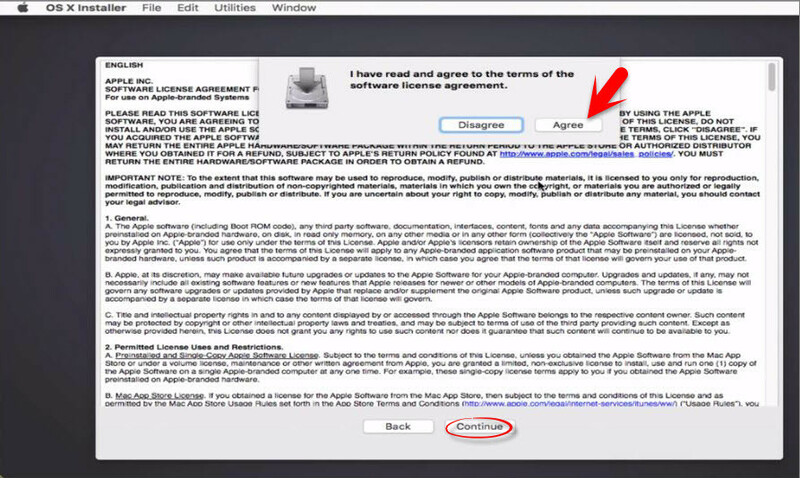 At the first section Creating USB Installer Follow the Steps that mentioned in the Important Note. I need this please help me! i did the steps but its stuck on apple logo (before installation).it goes to half the progress bar and then it stops. -v nv_disable=1 -s or -x didn’t help . plz tell me what to do. What system do you use? AMD or Intel? I have problems with my HP’s harder to connect with WIFI whether it should I reinstall the OS android or what should I do? Comment on the related article, please. Can I install EI Capitan On my PC ? or compulsory Required a Nvidia Graphics Card ? 8 GB Corsair DDR3 RAM, Seagate barracuda 500GB, Intel Integrated HD 4400 Graphics. Yeah, you can install just give it a try. Is this the official DMG file? Don’t want to waste my time. This DMG file has worked on most of the devices but you are independent. You can try and not try. i followed your instraction and i boot my pen drive same way. but when it restart second time its not work. and i face couple of more problem that wifi dosent work, and when i restart my laptop and unplug the usb the mac os el capitan os gone. im using dell inspiorn 3542 model. please help me sir. it is very helpfull if you reply me as soon as possible. Your answer is under your first comment check your first comment. i try to install mac os el capitan on my dell inspiron 3542, its perfectly installed but when i restart my laptop its gone. i also use windows 10. and i cant find wifi option. please help me sir. You need to install the bootloader to get into Windows and Mac Operating system. Check out our step by step guide after you install Mac operating system on your device what you should do after that. Will someone help me please? Why won’t anyone help me with my issue? I don’t think I follow… I don’t understand what this link is trying to get me to do? Intel Core i7-6700HQ, I’ve got Intel HD Graphics and NVidia GTX970M. I tried to disable graphics using the boot flag too but that didn’t work. PS: I am using a bootable USB stick with El Capitan copied on it using TransMac. All my USB ports on this machine are USB 3.0.
check out this link may be it can help you. Did not get your question, dear Amina. Can you explain more? What is your defect or problem exactly? after restart dont you have a sound ? make you sure that secure boot is disabled from BIOS and if you failed again then try some boot flags to boot in. Can I install EL Capitan on Dell Inspiron N4110? Yeah dear, You can give a try. I Followed Your Steps And Created Bootable Drive All Going Good But While Installing I Was Not Able To Find My Hdd For Installation. What Should I do? Yeah dear, you are going right and in this step you need to partition a disk with disk utiliy. Read the remainning steps carefully then you will get. After booting process….. In a disk utility, it show error for erasing a drive…. what can i do…..? In this, You need to clean all your hard disk to partition it for Mac OS. That’s the only way. Sir, All procedure is done . After partition in disk utility. When i click on EL CAPTIAN for installing it… it installed and come back to previous step…. What can i do now…. This time when the OS X installed from USB Installer to HDD that you preferred then from clover or transmac bootloader then just select the OS X HD that you nearly installed mac on it. Give your system details, whether, it’s compatible with your PC or no. What about the graphic card? okay Faiz Orz, thanx. i will just try any boot flag. do i have to format first my hdd before installing mac os? ‘coz it has already an existing windows 7 on it. i didn’t format it ‘coz if this mac os won’t work on my system, i don’t have to install again the windows 7. Make you sure that you have a Bootable USB with windows 7 then in cause if you failed to install OS X then reinstall windows 7 again and if you want to install OS X then you have to create a partition for OS X to install it on that drive. So in this cause you will need to partition the Disk, mostly it happened to me while installing OS X, the system couldn’t create the partition for OS X because it wants to erase or clean the hole disk and when I did then I was able to partition the disk for OS X.
okay Faiz.. thanx for the help. i’ll update u soon whether successful or not. hi! can my system run on Mac OS X El Capitan? what boot flag should i use? I can’t tell you that your system can run or can’t, But you can give a try! oh! okay. how about UEFI configuration? any configuration should be changed before installing el capitan? Sorry i didn’t get you, what you mean by UEFI Configuration? just like BIOS settings. new mobos have UEFI settings. haven’t u heard that? what mobo did u use when u install mac os in this tutorial? There is no guide for UEFI settings because you are going to boot directly from the USB Installer. It’s not the Unibeast way to make changes in the BIOS and then it will be able to boot up the clover menu. Try the boot flag that is mentioned in the article above. If didn’t work then combine boot flags and try again. Hi guys I have a HP EliteBook Intel(R) Core(TM) i7 CPU L 640 @ 2.13GHz, Intel(R) HD Graphics, 8GB Ram and 300gb HD. Try to boot using different boot flags like booting with nv_disbale=1 -v and depends on your system. other boot flags are mentioned in the article above. use these 4 bootflags only with these i was successful to install. Yeah dear, the boot flag depends on the system. You used those 4 boot flags and successful to install on your system but it’s not the same with all. I just gave him boot flags according to his laptop configuration. If you can’t boot into USB Pendrive then try to use some boot flag that mentioned the article. Working with intel hd graphics abd 2gb RAM? Drivers and WiFi working? Can this work alongside windows 10??? Can you tell me by which method you have followed to install El Capitan by unibeast or transmac? Please find below for spec detail. Hey dear, I have a laptop that I can’t install El Capitan by the transmac way, it gives that same error like you but when it try to install El Capitan with the Unibeast way. It works and installed. If you want then you can try that way also. Use the like below. Thank you for your kind help 🙂 Will try and let you know. 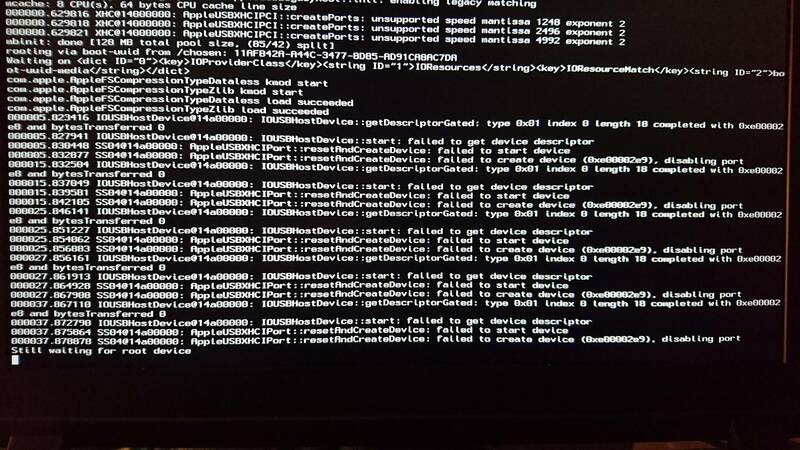 The error seems like boot Panic. i have installed el capitan in my lenovo laptop,at 1st time it stopped at missing Bluetooth controller,after that with some changes in boot flags i went into the el capitan and using multibeast i have installed the necessary drivers and boot loaders. But now the problem is after restarting and selecting the drive its not going into the system,after some lines of codes its restarting,if i try some other boot flags its hanging at “debugger not configured hanging” error,so i m using previously used boot flags. Now boot into the same USB Installer and when you get into the system, then edit and apply all the configuration on your system that you applied on your USB installer. Including config.plist and don’t forget to install and update your graphics driver. You have to Edit Config.plist file. First Mount EFI partition with clover Configurator then finds the config.plist from the folder and edit as your system configuration. Try to solve it by entering some boot flags, mentioned in the article above. Even if you manage to install it, everything won’t work at 100% because there not much drivers for you hardware. My advise, give up, or buy a Mac like I will do. In cause, if you found that what’s missing and how to fix it then you don’t need a mac. but in some cases, the laptops aren’t compatible with the mac. I have a Haswell i5 4th generation processor I tried it with boot flag nv_disable=1 but stacked on apple logo. Your device boot flag might be different. So you need to enter the other boot flag that mentioned in the post. If the screen goes black on your laptop then try to use an HDMI cable or VGA to see the process on the next screen. Are you sure about that your system doesn’t support “UEFI Mode” instead of “legacy Mode”? No one that can help me? Tell me what is your problem my dear? i can’t get it to boot i tried different boot flag’s but no luck this is my bios settings and boot process. No idea? How I could get it to install? This way is generally talked so use these steps. I want to install mac on my HP Pavilion 15-P077TX. I have read the hackintosh process of tony hackintosh but its to lengthy can you suggest me the easy way or I can use this above process. This is the easy way my dear. If you have any question just share with us. There is Win 10 install in my Laptop can I Install Mac this Mac in another drive so that I can use it as dual machine if yes then I have 8 GB ram so i don’t think there might be problem of speed . Thanks for the help in advance guys. I’m very new to this! I have no problem to boot. I will try the installation tomorrow, and let you know! I’m just wondering if we’re “allowed” to do the update once the system installed ? Yes, you’re allowed to update anytime you want. I have a Lenovo T440S with an i7 4600U. Booting up the installer always crashes on my machine after about 2/3 is loaded, followed by the stroken sign. What do I have to type in? I have a HP Elitebook 2540p i7-L640 8GB any idea witch on witch way i should boot? Hello, I’m trying to install this Release on a Samsung R720 Laptop (4GB RAM, Transcend SSD 370S, ATI® Mobility Radeon HD4650 1024 MB GDDR3, Intel Core 2 Duo, 2.2GHz), but after booting up the first stages, the screen turns black and the laptop reboots. I suggest you when the screen goes black then on that time use the HDMI port and share your screen with your TV or another screen by HDMI Cable it may work but if it didn’t work then your system Intel Core 2 Duo is not campititable with Mac OS X El Capitan. I’ve tried two HDMI cables on two different monitors and I couldn’t switch to the external screen, all FN-Functions work, except for this one and I have the suspicion that this feature (switch to external screen) is a software driven feature once a GUI is started. I remember I was able doing that when Linux was installed, but obviously durin boot while in text mode, this isn’t working for that Laptop. (For a Zotac zbox it DOES work). What I’ve also tried: Close the Laptop Lid as the Laptop turns off the internal Display, but that didn’t help either. I guess, now I’m out of options, or are there more things which I could try? Watch the video on youtube ( https://youtu.be/3YiyCepFCSY ) I have recorded the video on the external screen using HDMI Cable and this work and shows everything while it’s powered on and connected to my laptop. So, I think this do not need a software driven feature. Well, as I said, I do not see anything on the screen. I think the issue I’m having is rather that in my BIOS I cannot set the SATA mode to AHCI and there is also no option in the BIOS to let UEFI boot first. I only can chose “Legacy support” on/off and that spoils the boot of the stick. Moreover I’ve tried the classic way with downloading Osx El Capitan from the App Store and installed it to the stick with UniBeast. Same story. In both methods, I cannot even see the first Clover Menu due to lack of the mentioned BIOS option. There is no BIOS updates for that Laptop. I think I have to give up on that Laptop. Yeah, it because you should choose legacy support while creating USB installer with UniBeast. and because of your processor is Intel Core duo 2, so it may not compatible with Mac OS X El Capitan. There is no Virtualization for Intel Core Duo 2 so I don’t think you can install Mac on your system even with VMWare/ VirtualBox. Please Reply i need to Run xcode as soon as possible on Mac. I’m running on a amd fx-4350 and when I input the boot flag /amd -v it says that it could not find the kernel. And even without the boot flag it restarts. Please help! Can you share your system details dear Randy? I have ACER E1-531G, i have problem with install mac os , i use legacy bios, have installed win 10.
my specif. : CPU: Intel pentium 2020m, GPU: Nvidia 710m. 4gb rama and 750gb hdd. I stuck on logo apple and half bar line, can you help me to install i need it for project it is important to me. Sorry for late replaying but your CPU is Intel pentium 2020m and i think the probelm is with the CPU becuase OS X works best with i5 Or i7. I have Acer E1-531G and i try all this commands but noting, can you help me. I have stuck on line bar on half and dont move. procesor intel 2020m, nvidia 710m, 4 gb ram. Can i install this somehow? Pls help!!!! 1.Can i use it on my Win10 (Vmware) or its better to install it seprate?For multimedia program (adobe)? 2.Is it harm my Laptop to Run Vmware (mac) for 5 or 6 hour? No, I don’t think it harms your computer. Because the RAM and processor are good. Still pretty new I have an and fx processor. With 10gb or ram Windows 7 is my main os what other details are key? Your system is AMD or intel, desktop or laptop, hard drive and so on? Amd system, desktop, Windows 7 is installed on a ssd and I have an empty 360gb sata Seagate I think that I’m trying to install to. I’ll have to check on other Info when I get back to my computer. Any other key points you need? For AMD processor the steping might be different my dear. These steps work for intel based system. My keyboard and mouse do not work. I am stuck at the installation screen. Use an external mouse and keyboard. When the installation is completed, Install the Multibeast in order to work the mouse and keyboard as usual. It is on my desktop I am using an external monitor mouse and keyboard. Try connect and disconnect your external mouse and keyboard. If again it did not work let us know. i tried brother but nothing changed. It’s a little hard for your system to install Mac OS X El Capitan by this way I recommend you to use the unibeast way. i faced a problem when installing. my pc ends between step number 3 and 4. it loads but not reach to language installation page. please help me how to fix this problem. Can you send you System details? i have an issue while installing OS X 10.11 on Windows PC can u help? Please Once try again and this time, select the startup disk your USB Installer. Not work.Error USBSTS. Hchalted. restart….stop…restart….stop loop.but i succeeded to install EL CAPITAN , with fixed USB kext ,when I boot with these flags “GE = No -v -x ” reaches the apple icon and gives restart.Where would be the problem? tx! With this information that you mentioned may work. Because everything seems good. Try once if you faced any problem just share it below this post. Once use(NV_DISABLE=1 -v) boot flag if didn’t work then let us know with the error shot. As I think you didn’t Configure your BIOS for El Capitan, Once please make sure that it’s all right. is there Extra instruction for motherboard “Asus B85-PRO Gamer” to make it work wih that Mac? second trail: I opened it again and the after some progress the screen turned to black!! In the article i have some instructions for how to boot into Installer By Boot Flags. There are many Boot args Please once try them and they must work for you. like me when i want to boot into USB Installer then i use (NV_Disable=1) boot flag, well it disbale Nvdia gfx. But after installing OS X Then you need to installer the drivers like nvdia manully, if you use NV_Disable=1. need you to explain something I see flags with-without :/ should I write the symbol first? also, type (-v) at the ends of your boot flag’s to show the diagnostic messages, by this you will know that what’s your problem and what’s wrong with it. please let me know how can I fix this asap! I am so sorry for late replying. Due to some cause i coun’t be active nowadays. Now you’re saying that i am at setp 6 and you have installed Mac Form the USB Installer to The drive that you must created for Mac OS X El Capitan at step 5. Now this time boot from the Mac Drive that you created for Mac OS X El Capitan with the same boot flag that you USED to boot into USB insaller. I did like what you mention but the errors appears in that step I tried more than once don’t know how is that possible after I been that close!! Can you please follow-up with the post-installation guide? Specifically, USB is not working after installing USB-related kexts with MultiBeast. We’ll try to create the post after installing Mac OS X El Capitan. We have to Install MultiBeast in order to work OS X El Capitan perfectly. I tried MultiBeast 8.2.1 which is bundled with USB installation options. 2 (3rd Party USB 3.0, 7/8/9 Series USB Support) pass and 1 fails (Increase Max Port Limit). When I finish, reject USB and try to boot from Hard directly, login screen appears, graphics seems to be installed properly, but USB keyboard and mouse are not working at all. (Booting from USB and then starting system from hard is totally fine.) I use Legacy Boot (not UEFI) which I wonder this is a problem. I use Dell Optiplex 7010, will you please check if this model doesn’t meet the requirements of El Capitan? ** At STEP #7, I think it’d be better to mention the installation requires 2 times of reboot. Also want to avoid confusion on these 2 things, selecting USB from BIOS boot menu and then booting from USB actually (Sorry, I might miss something). You’re welcome dear Like Hackintosh. OK, we will try to search about this problem that you’ve. We’re happy that you have read all the steps carefully and share your idea with us. Really complete article. i like your this article, and this blog. We’re really happy that you found this blog and the articles helpful. Can i send few pictures? I Couldn’t find any exact solution for this problem dear Firat dgn. Once again read the article very carefully. You might not do any step. If again you did not find the solution, we recommend you to join this forum and ask from them. I checked i have 3 port ;1 for install usb, 1 for keyboard and 1 for mouse , on Windows is working perfectly. Ok, let me do some research then just see the answer below this post. Please check the ports that you’re connecting the external mouse and keyboard. Sorry do you use Laptop or Desktop? OK, now use an external Mouse and keyboard till the installation process should complete. After the installation, you have to install the drivers for Mac which we’ll cover this in an article, as soon as possible. Until that time, you must use external Mouse and keyboard. I think the problem is with your graphic card use this (nv_disable=1) boot flag then if it didn’t work, let us know. My laptop is Lenovo Y50 and I installed Mac OS X Yosemite by unibest, Is it possible to install by this method also. I can’t believe!!!! Good dear Muhammad Reza! that you have found the article helpful. We’re really happy. Can I install Ma OS X El Capitan on my HP laptop core i3 ???? Can you give me some more information about your device? hello sir, how to install el capitan on my PC? do i need to configure the BIOS settings? Just follow the article if didn’t work let us know. why go all through the trouble if you can get for cheap a MacBook with Intel cup for 200/300 ? then you got the real deal! but some laptops and desktops with Intel cup with SSD hard disk + graphic card, you can run Mac OS X with well performance on PC. You can have the same performance if you install the bootloader. The Mac operating system is going to work perfectly. We will manage the article, as soon as possible. Be in touch with us. Please let us know, where we are wrong? How we’re wrong dear +Tubee? Hi thanks you but how I can find my laptop boot manager? It’s Lenovo intel core i7. If your laptop is Lenovo so it has a small button beside the charger place. it’s called Novo button or one key recovery. push and hold that button then your computer will automatically start and the boot manager screen will pop up. If again you did not get, let us know. I have the same problem on my Medion Desktop PC, it has a Intel Pentium Dual-Core CPU E5700 @3.00 GHz. It start up completly but at the installation manager it says that OS X El Capitan is already installed, so i changed date and time to what you said here above, but it doesn’t help. So I tried it now for several times but it still isn’t working. Do you have other options that I can try? Have done Step #5 currently and created an OS X Extended (Journaled) partition or not?